The new droid you are looking for! Your thirty year wait is coming to an end as new characters are released from the Star Wars VII The Force Awakens film universe. 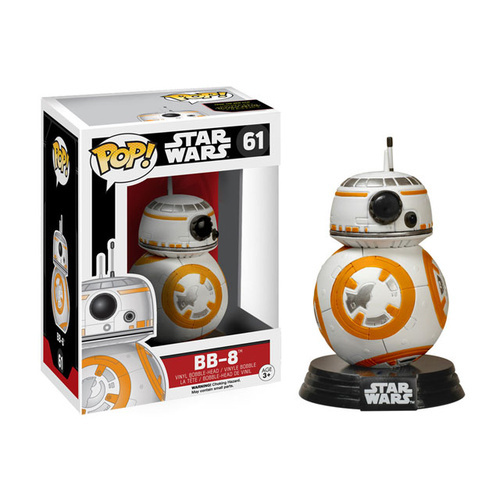 BB-8 is the droid you are sure to fall in love with and will complete any Star Wars collection. The BB-8 Pop Vinyl Figure is approximately 9cm tall and comes with a stand so he won't roll off your desk. Not suitable for under 3 years old as it contains small parts.